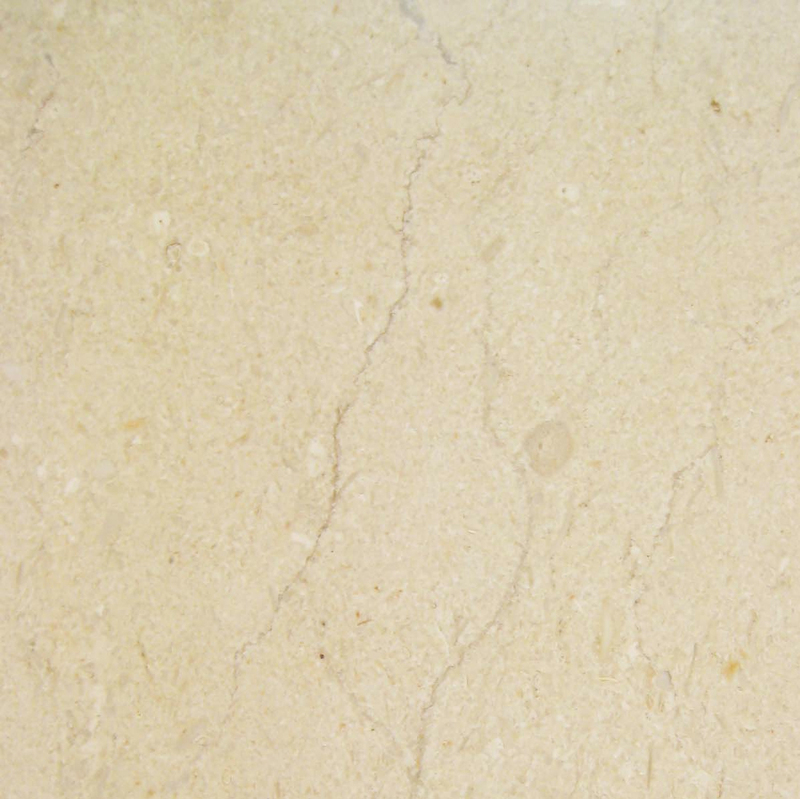 Natural marble stone is most often used as a material for flooring tiles, interior or exterior wall surfaces, or window sills. Recently, the use of marble for transition thresholds has increased. Designers of residential and commercial properties nowadays include matching marble material for the sills, floor, and doorways. Transition thresholds are functional as well as beautiful. These stone barriers provide for safe pedestrian passage across the discontinuity between two different floor surfaces. This transition is usually between carpet and stone or between carpet and hardwood. Marble transition thresholds look their best when they perfectly match the stone material used elsewhere in the room. Stonexchange is a Miami area company specializing in the manufacturing, importation, and distribution of natural stone products and accessories for residential and commercial properties. 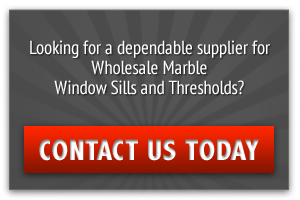 We offer top-quality marble stone window sills, tiles, countertop blocks, pool copings, paver stones, and floor saddles. 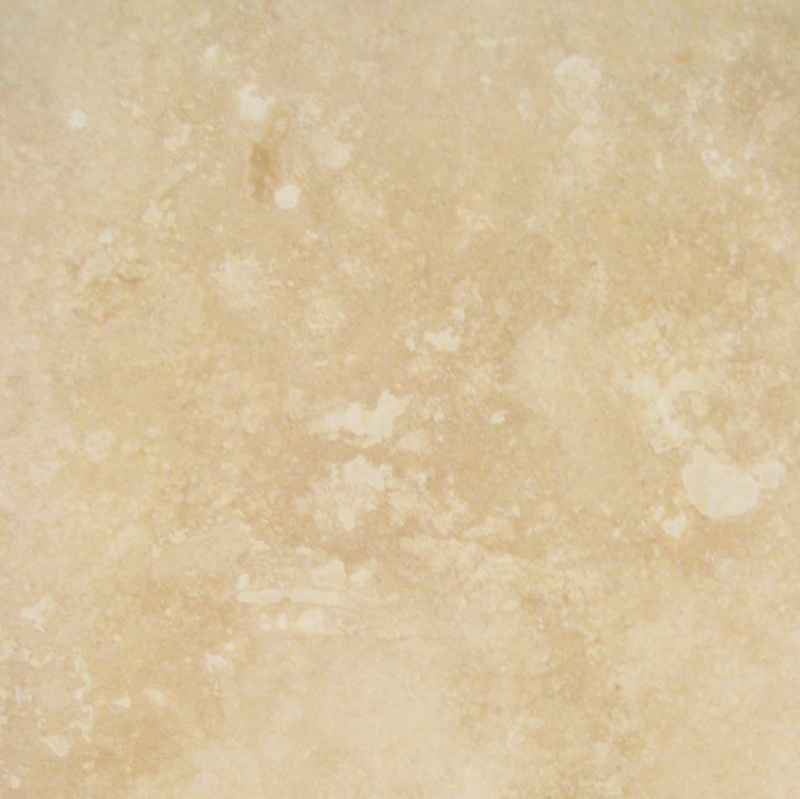 The latter are available in the very same material colors and styles as our other marble products. This means that customers who purchase from us are guaranteed a perfect match between different products made from the same variety of natural stone. Specialized fabrication of marble stone thresholds is a rather new segment of the flooring industry. In the old days, contractors and installers had to purchase sheets of thinned marble and cut them into window sills and transition saddles. This was the only way to ensure a good color match between the different products. Rooms accented with similarly shaded window sills and thresholds made from stone taken from the same geologic deposit stand apart in their eye-catching appearance. Interior designers love to come up with ideas that incorporate natural stone accents including sills and thresholds. Depending on the intentions of the designer or property owner, the color chosen for the marble accents is a very important consideration. The increase in prefabricated marble stone thresholds imported and sold in bulk quantities has made it easier for designers to include them as part of the permanent fixtures. These stone products also become a great selling point, not only because of their wonderful appearance but also because of their functionality. Anytime marble becomes a part of an interior design, interest in the property by prospective buyers goes way up. The problem in days gone by was how to obtain a good supply of marble suitable for use as thresholds, and also how to get the material at wholesale prices. Stonexchange has solved this problem entirely. We own our manufacturing plants located overseas, and we also own the material extracted from the nearby quarries. In other words, we control the manufacturing process, the importation of the final product, and the distribution of these magnificently designed thresholds to customers all across the United States. Stonexchange constantly monitors the design and building trends, and we subsequently offer the marble styles and color shades that are currently in high demand. Our expertly cut and shaped floor transition thresholds are available in all three of the most popular styles. We invite all interested parties to read on and learn exactly what we offer our commercial clients, and why we are able to sell our marble thresholds at prices well below retail. Most standard double bevel thresholds are manufactured in various widths and have a 5/8-inch thickness. Both of the long sides have a 1/4-inch smoothed bevel. These thresholds are perfect for use in bathroom doorways because they prevent water from running from a tiled surface onto carpet or hardwood. Standard double bevel thresholds are placed on a level substrate surface that is the same height as the base floor beneath the tiles or carpet. The result is a slightly raised piece of natural stone. There is no tripping hazard for pedestrians, and the threshold itself acts as a moisture barrier that will not allow water to seep into the subfloor at the junction of the two different floor surface materials. Stonexchange carries a variety of natural stone thresholds in the standard double bevel style. 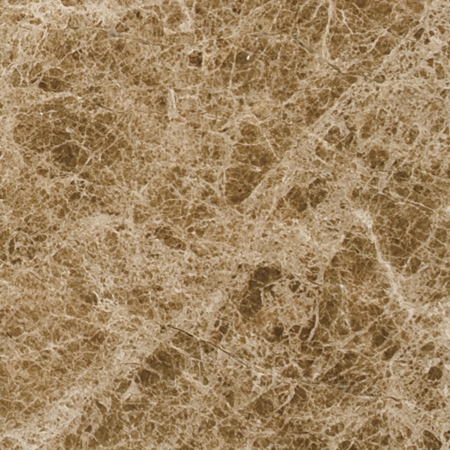 Most of these are marble varieties, but we also stock black granite and travertine floor saddles for specialty projects. All of our standard double bevel thresholds have been expertly crafted at our manufacturing center located overseas, and they are packed and shipped as full-crate orders to clients. Our Crema Sahara Marfil double bevel thresholds are perfectly matched to our window sills and flooring tiles made from the same natural stone material. These are available in various widths and are sold in quantities of 100 or 200 pieces depending on actual size. The standard length is 36 inches. Our Nuevo White Carrara thresholds are available in the same widths and packing quantities as our Crema Sahara Marfil style. This threshold is an excellent replacement for orders specifying Alabama, Cherokee, Georgia, or Vermont White marble. This variety is very popular for use in offices, hotels, and government buildings. 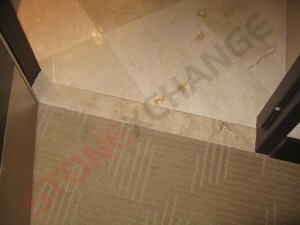 Stonexchange also maintains an inventory of Pure White Thazoz engineered stone thresholds. These are manufactured in lengths of 74 inches, are pure white in color with no streak patterns, and are constructed of polymers, resins, glass, and composite rock. Often requested in building instructions for high-end projects such as resorts, luxury conference centers, and upscale condominium developments, white engineered stone thresholds from Stonexchange are among the most affordable on the market. 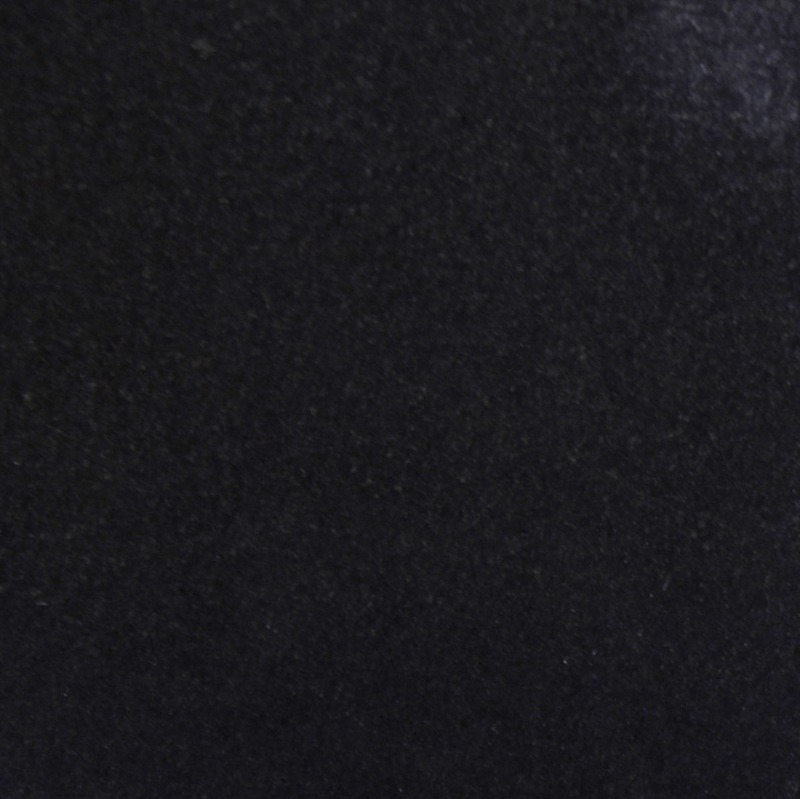 We also offer standard double bevel thresholds in Absolute Black Granite and travertine. 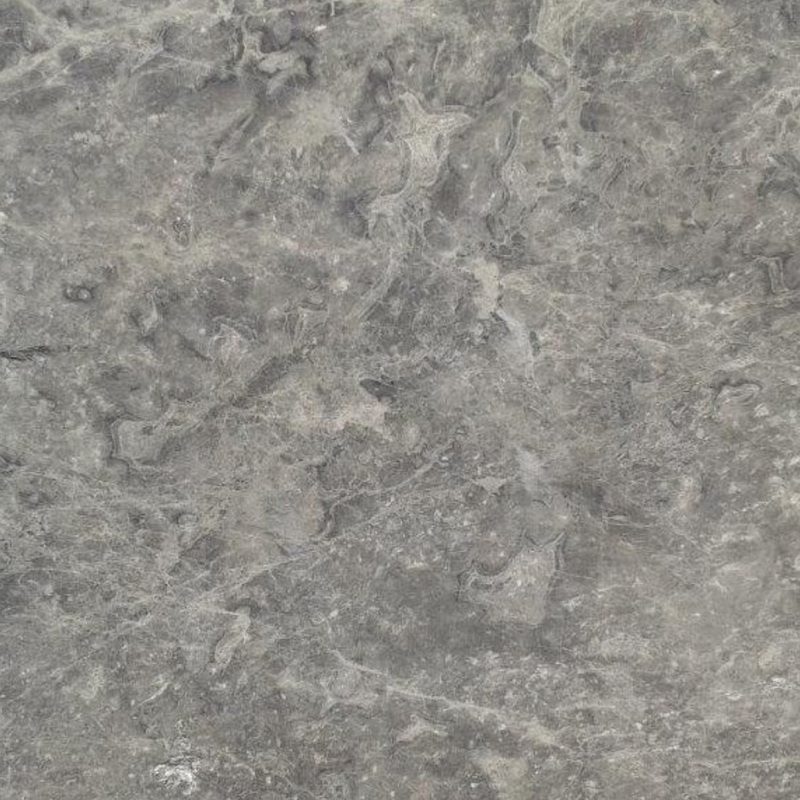 The former is a beautiful natural stone that is extremely hard, has very little splotching, and is a perfect replacement for building plans specifying Galaxy Black. Our travertine thresholds are honed and filled, have been sealed to prevent moisture intrusion, and are priced well below retail. Hollywood bevel thresholds have a longer, 1 3/8-inch slope. The single bevel variety is popular for use as a tile floor perimeter material. 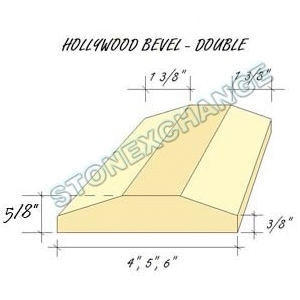 Stonexchange manufactures and sells single Hollywood bevel floor saddles in several different lengths and widths. Our company offers these finely crafted thresholds in the same marble varieties as our standard double bevel transition saddles. The Nuevo White Carrara material is available in 4-inch widths and the Crema Sahara Marfil thresholds come in both 4-inch and 6-inch widths. We also stock Absolute Black Granite and Pure White Thazoz Hollywood thresholds in the single bevel style. These thresholds have a 1 3/8-inch slope along both of the long sides. This style of floor saddle is often used in resort complexes, special needs condo units, and other areas where pedestrian traffic is high or where wheelchairs are used. Because they have a gentler slope than standard double bevel thresholds, double Hollywood bevel thresholds are usually wider and therefore have a greater visual impact. Stonexchange manufactures and distributes these double bevel thresholds in Crema Sahara Marfil, Nuevo White Carrara, Pure White Thazoz engineered stone, and Absolute Black Granite. Packing quantities vary depending on the width of the material ordered by the client. Transition thresholds are considered a specialty product. Not all manufacturers of natural stone material will fabricate thresholds, not even the standard lengths, widths, and thickness. Stonexchange manufactures its thresholds from the very same marble slabs that are used to fabricate our matching window sills. We import large quantities of material every month. In turn, we deliver our large shipments to commercial clients on a monthly basis as well. These customers include flooring product retailers, home improvement stores, and project developers. Many of our customers have a recurring order schedule set up, especially merchants who need to keep a full inventory of product. The building season tends to slow during the winter months, but Stonexchange makes it easy to obtain the desired product at any time of the year. Large orders that include non-standard size thresholds must be specially fabricated overseas and delivered to the customer on certain schedules. This means a lead time of up to eight weeks, but our clients can order these customized threshold products at any time during the calendar year. All orders are full-crate or full-pallet, meaning that the product is packed and stacked at our distribution center by our own team of quality assurance personnel. The orders are delivered via overland freight companies with whom we have an ongoing contract. This means lower freight costs for us, and we pass this savings on to our customers. As previously stated, bulk quantities of certain threshold styles can be hard to locate. Our company solves the supply problem because we do not rely on purchase and resale that involves middle-level brokers. We are both the manufacturer and distributor, and this is why our customers enjoy the lowest wholesale prices on full-crate or full-container load purchases of natural stone materials. 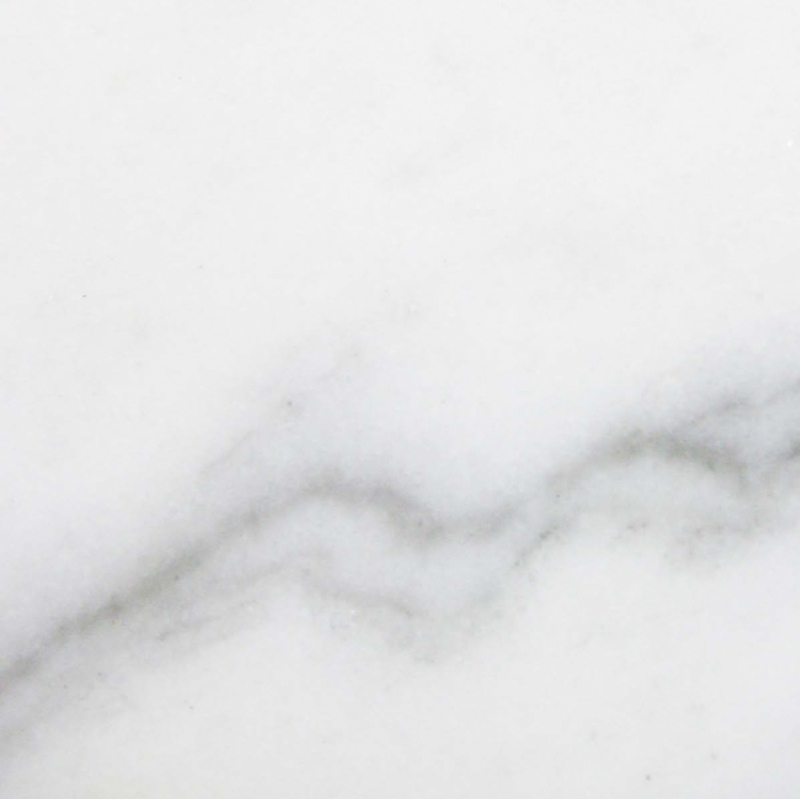 The question of where to purchase marble thresholds at rock-bottom wholesale prices is answered with a single call to Stonexchange. Our company delivers what it promises – substantial savings and a reliable supply of material – and we back this promise with a customer satisfaction guarantee. Merchants, construction contractors, and professional installers of natural stone products and accessories are invited to contact us for details on shipping schedules, pricing, and custom orders. 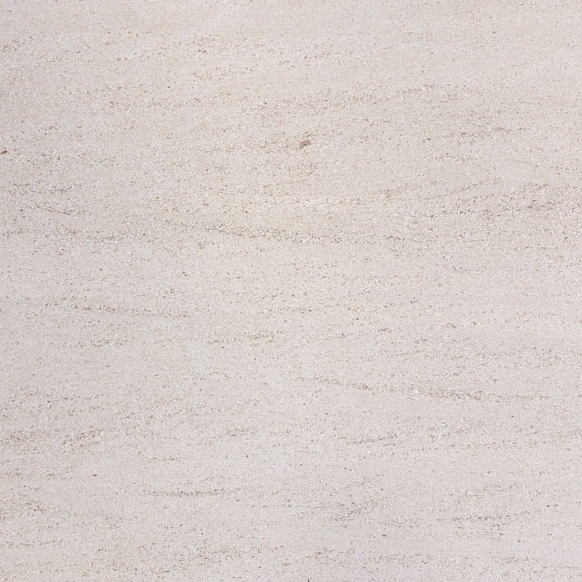 We have the best materials at the lowest price, and we guarantee availability of all our marble products. Contact us today to learn more about our marble thresholds.